On Dec. 2nd, during a game between the Brooklyn Nets and New York Knicks, Jeffrey “Gamblero” Vanchiro became infamous after being carried out of the game by Madison Square Garden security. And unfortunately, it appears as if this incident was the catalyst behind Vanchiro’s death last night. Staying at his father’s home in Queens, New York, Vahciro reportedly jumped out of a second-story window. As the New York Times reports, his father says that he woke up and was disoriented when he jumped out of the window. 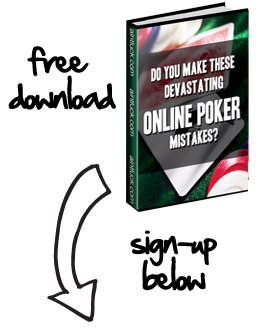 The fall caused the former poker pro to suffer severe brain damage and a fractured spinal cord. He was placed on life support at a nearby Queens hospital before eventually dying. Vanchrio first became famous as a graffiti artist in New York City. He also played poker and racked up $370k in lifetime winnings before slowing his play. In recent years, Gamblero gained fame as a Nets superfan, donning colorful outfits and dancing in the aisles - often ending up on the Barclays Center Jumbotron. But the Dec. 2nd ejection began wreaking havoc on Vanchiro’s mental state. Through an interview with ESPN New York, he said how being carried out of the game was comparable to being abducted by aliens. Behind the scenes, his fiance, Kristi Evans, describes Vanchiro as being very distraught about the ejection. Evans added that Vanchiro would wake up sweating and screaming from nightmares, eventually trying to sleep as little as possible to avoid this. And following his death, it’s clear that the incident had a major impact on his declining emotional state.